Does Trip Insurance Cover Award Flights? 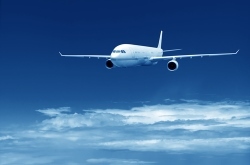 There’s no question that a free flight earned with your frequent-flyer miles is the greatest. You may have even earned the points from one of the best airline credit cards this season. Either way, you know your savings will be sky high. But as you book that free flight, you have to know: Can I get that award flight covered by trip insurance? If you have general trip insurance, chances are you won’t be covered. The reason comes down to the fact that award flights count as a $0 trip cost. Travel insurance companies cover the money you pay out of pocket, not the retail value of the flight itself. Since you paid nothing, there is nothing to insure. We confirmed this by inspecting the acclaimed top ten best travel insurance plans for 2014 and considered the coverage for trip cancellations. Across the board, they all cover the cost of the trip. According to the FAQs on the websites of CSA Travel Protection, Allianz Travel Insurance and others, a refund for the “cost of the trip” applies only to prepaid, non-refundable payments. So, sad to say, an awards flight would not be included in that category. Although you wouldn’t be compensated for the flight cost itself, you can still be eligible for other coverage. Travel protection plans can include medical emergencies, lost baggage, baggage delays, missed connections and flight delays. Taxes paid for the flight are another expense that can be refunded, depending on the airline and how early you cancel the flight. Ultimately, it comes down to the quality and benefits of the travel insurance you decide on. Can you just change your ticket? If getting a trip refund is out, you can consider getting your points or miles back – but you generally have to pay a fee. For the American Airlines AAdvantage program, the fee for redepositing, or recrediting, your miles is $150, unless you are an Executive Platinum member. Nevertheless, American does have one of the better perks out there for re-depositing miles since all other tickets on the same account are charged at $25 each. There are exceptions for the redeposit fee on other airlines too. On United, for instance, you might pay between nothing and $125 for a redeposit if you are a frequent-flyer member with status. From the list of airlines above, the average cost of redepositing miles is $119.32 and the median is $150. Although not ideal, this option is probably still worthwhile considering the hundreds of dollars in savings one free flight can give you. As far as airline fees go, this one probably can save more for you than most. However, if you’re concerned about not being able to take your award flight beforehand, you can purchase award flight trip insurance, which covers the redeposit fee if your trip is cancelled or interrupted. Allianz, for example, offers coverage on Delta, American, US Airways, United, JetBlue and Alaska Airlines that costs $13-17 and will cover redeposit fees up to $200 for trip cancellation and $500 for trip interruption. Canceling a free flight and recovering your miles is possible, but since travel insurance plans don’t cover such trips, it is more of a burden than otherwise. Nevertheless, in the long run, you will save if you take the risk and fly free.